This is a collaborative physical education project by Matt Pomeroy, Naomi Hartl, Collin Brooks, and Jonathan Jones. We are looking to showcase some of the best physical education teaching practices, lesson ideas, and epic events that #physed and #pegeeks across the world are doing at their schools. We will be interviewing teachers and they will be sharing the story about their lesson. They will also share materials so you can implement the idea into your physical education classroom. During this episode you will hear Matt Pomeroy, Adam Howell, Naomi Hartl, and Collin Brooks review the #PhysEdSummit 2.0 and #SHAPEseattle 2015. We will also preview what #PhysEdSummit Basecamps (webinar produced by PHYSEDagogy) will look like, explain what is happening at the #PHYSedcamp during the National PE Institute 2015, and give you a taste of what the #PhysEdSummit 3.0 will look like on August 15th & 16th 2015. 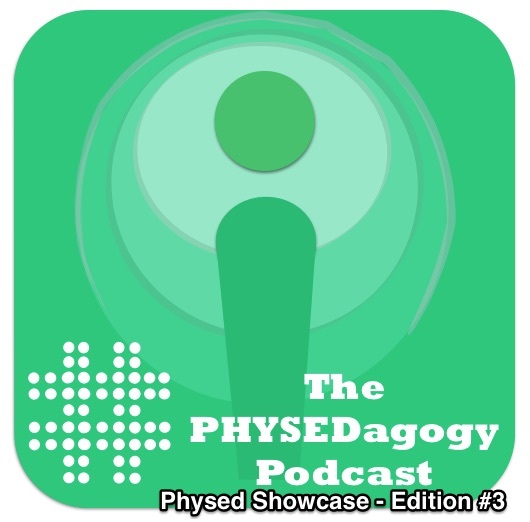 Here is the third edition of the #Physed Showcase Podcast. In this episode we will wrap up the #PhysedSummit 2.0. You will hear Adam Metcalf talk about how to create a sustainable system for sport education units. Learn about the Burp It On program and hear them talk about how they are raising awareness for physical activity. Listen to Matt Guth and Jonathan Jones talk about how they have got their students connected through a Pen Pal Program. Here is the second edition of the #Physed Showcase Podcast. In this episode you will hear Maria Corte talk about her elite fitness team and an amazing fitness routine. Lynn Hefele and Crystal Gorwitz talk about their virtual road trip. Collin Brooks, Evan Godsiff, and Ryan Wiser discuss how they use Voxer. Joe McCarthy shares details about his Mileage Club. Charlie Rizzuto give us all the info you need to kick off a massive train your teacher fitness project. Each story will give you great ideas for your #Physed teaching. 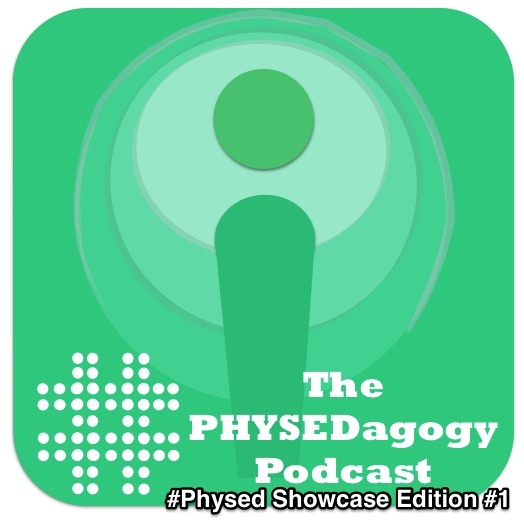 Here is the first edition of the #Physed Showcase Podcast. In this edition you will hear from Justin Schleider talk about #SlowchatPE, Kevin Tiller talk about his website Physed Review, Mike Graham talk about what’s happening in his gym, Chris Fenlen MacDonald talk about his phyisical literacy project called “Don’t walk in the hallway“, and Andy Hair explains how he pulled off a Mini Mudda. Each story will give you great ideas for #Physed teaching. 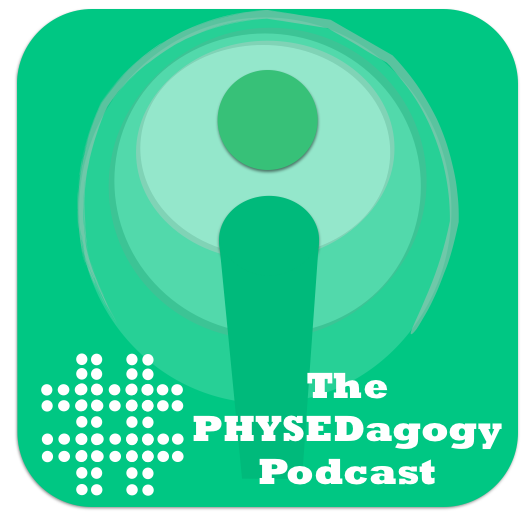 The podcast team from PHYSEDagogy wanted to say hi to everyone and introduce you to the newest project at PHYSEDagogy, The PHYSEDagogy Podcast: Teacher Spotlight. This edition will get you caught up to speed on everything happening with the upcoming podcasts. Check out the iTunes podcast for an interactive podcast that you can click on links and learn more while listening!